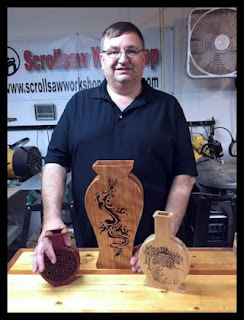 Queen of the Machine Scroll Saw Pattern. Slots. We had a family member turn 21 last week. Her request for her birthday was to visit a casino. My sister made arrangements to take her to Belterra Casino in Florence Indiana. Several of our family met there last Thursday and we had a great time. We stayed at the Belterra hotel and spent a couple days mostly visiting and eating. There was some gambling but mostly just small amounts. We are not high rollers by any stretch of the imagination. 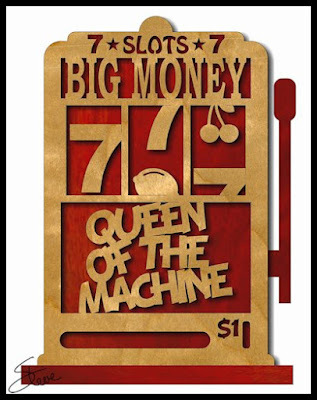 The birthday girl walked into the casino and placed two dollars in the first slot machine she sat down at. She pressed the button and won $82. She cashed out. :) She did a little more gambling but left with the $82 winnings so she was happy. Thanks Sister for setting up a fun weekend. Happy 21st birthday J.P. 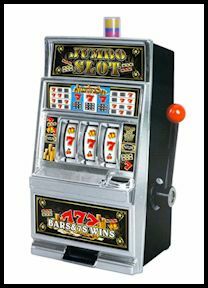 While I was at the casino I could not help but watch ladies in their golden years having a blast playing the slots. One lady had a shirt with the "Queen of the Machine" quote on the back. I knew that would make a neat pattern for anyone who enjoys the casinos. 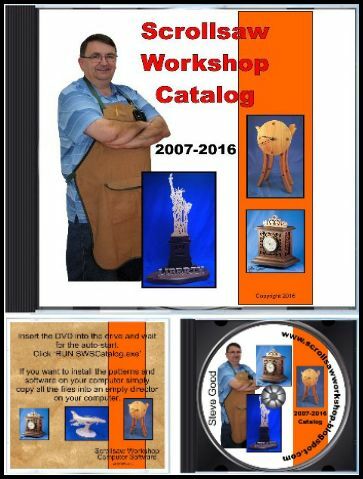 I have received a number of email lately asking about my pattern catalog DVD. Let me give the details for those folks who may be new. 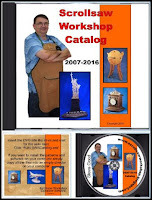 I have a free online catalog with all the patterns from the last ten years. 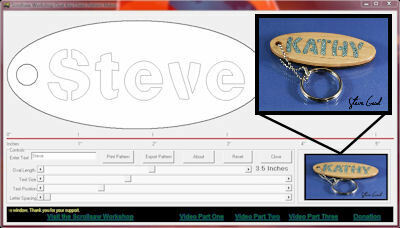 It can be accessed by visiting the blog and clicking the pattern catalog link. 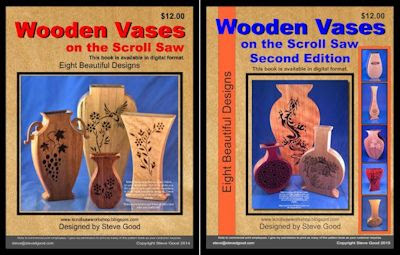 Several years ago I started making the catalog available on DVD because so many people requested it and it gave me a small amount of revenue to help support the blog. The DVD is $20 plus shipping and currently includes all patterns from 2007 through the end of 2016(over 1,900 patterns). A new DVD is created each year to add that years patterns. Many club libraries use the DVD for their members. 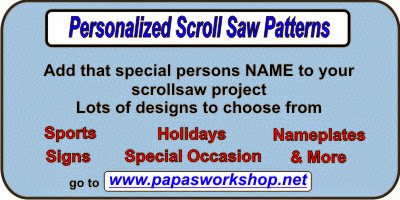 There are also many people who want to have the patterns available for off line viewing. 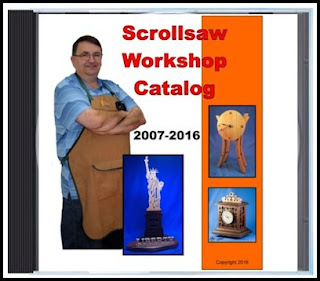 There are even a few people who have told me they buy the catalog so they will have it if the blog ever shuts down and the catalog disappears. 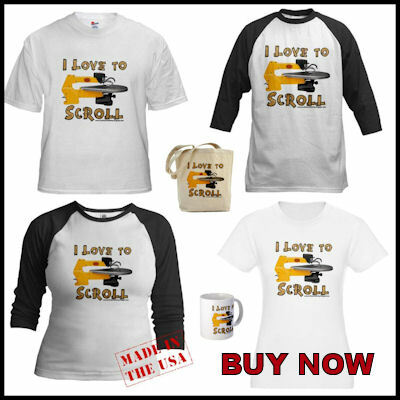 Some even buy it just to support my blog. 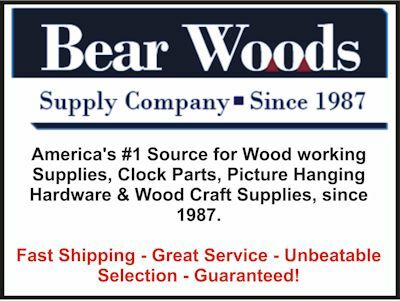 Whatever the reason you buy the catalog I appreciate the support. 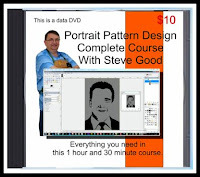 Just know that you do not have to buy the DVD to access the patterns. 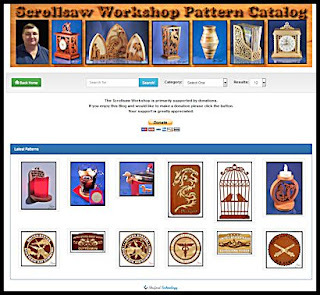 You can always use the free online catalog. 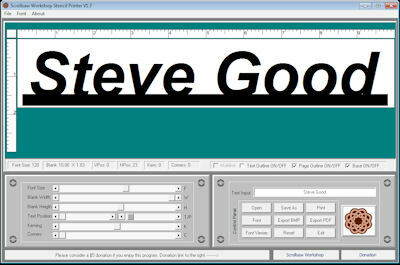 Now to make things a little confusing I also have the catalog in PDF version. 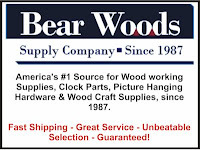 The PDF version is just an add on that's makes searching the catalog faster. Again, let me say that this $3 add on is not a necessity. 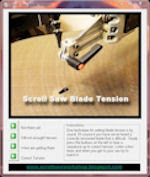 It's just for those who want to browse through the catalog looking for something to cut. You can view a video showing how this works at the link. The $3 PDF version does require an online connection. 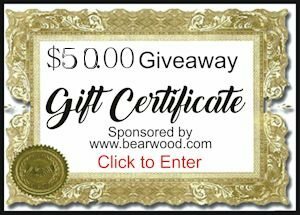 Keep placing your daily entries for the Bear Woods $50 gift certificate giveaway. Someone is going to win. It might as well be you.